While Like-For-Like Retail Sales and Halifax House Prices supported GBP, Brexit is leaving negative impact on this currency. 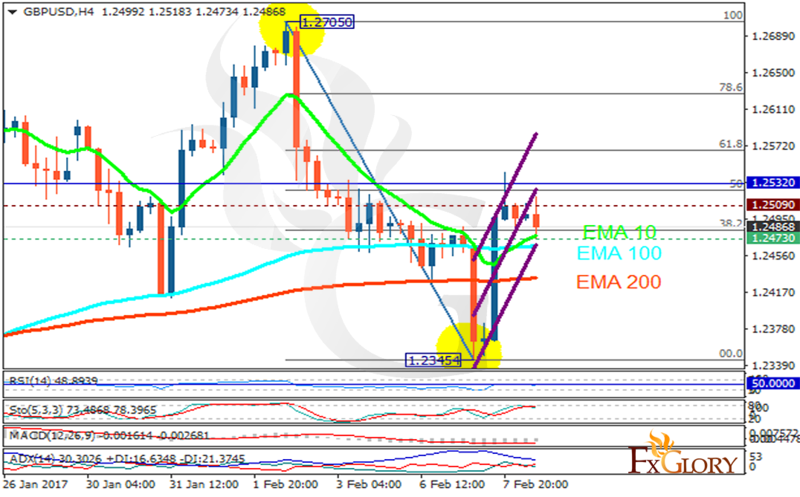 The support rests at 1.24730 with resistance at 1.25090 which both lines are below the weekly pivot point at 1.25320. The EMA of 10 is moving with Bullish bias along the ascendant channel and it is above the EMA of 200 and the EMA of 100. The RSI is moving on 50 level, the Stochastic is moving in high ranges and but the MACD indicator is in negative territory. The ADX is showing sell signals. It seems that the correction pattern is almost complete before reaching the 61.8 level of Fibonacci, therefore we stay bearish targeting 1.2300.